This week we read about the obstacles and perseverance of Papa Bleroit in achieving his dream of flying in, "The Glorious Flight," by Alice and Martin Provensen. "The Glorious Flight" was a true story based on the life of Louis Bleriot-- the first person to fly over the English Channel. Although the book was about flying, T wasn't as drawn to this book as I thought he would be. Nevertheless, we spent our week learning lots of new things! Traced Papa Bleroit's trip from France to England on our map. Colored the flag of France and England. Learned about and listed examples of Onomatopoeia (T can say it better than me!). Worked on descriptive writing and not even knowing, he almost came up with a Haiku poem. plane has colors red and blue." Worked on Segmenting Sounds according to their place in the word: beginning/ middle/ end (see this post for more details). Introduced Roman Numerals (because that is how Papa Bleroit named his planes, ie. Bleroit IV). Cut and Paste Transportation patterns worksheet. Labeled parts of an airplane and we made a couple paper airplanes too! Tried "Rising Paper Activity" in Usborne Science book, vol. 2. Made a Hot Air Balloon to demonstrate 'upthrust,'-- didn't work too well! Watched a short movie of the Wright Brothers on YouTube. Also found clips of Papa Bleroit's flight. And just for fun one day... I made T an edible airplane for snack! T's favorite part of this week was learning to say "Onomatopoeia"! I think we'll revisit this book again as we didn't do all the activities in the manual. p.s. 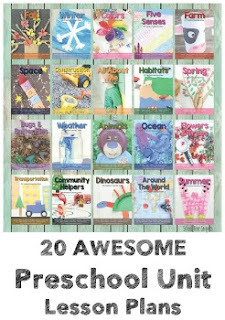 I've linked up to Homeschool Creations. Check it out!